This is a Result of a One-On-One Meeting Governor DeSantis Had with President Donald Trump in Washington D.C. on Tuesday. 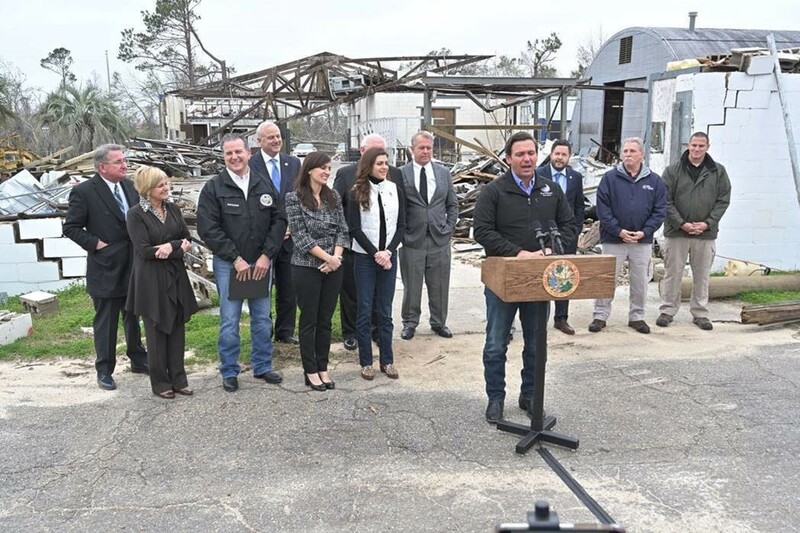 Today, Governor Ron DeSantis announced additional reimbursement assistance for Hurricane Michael recovery expenses. 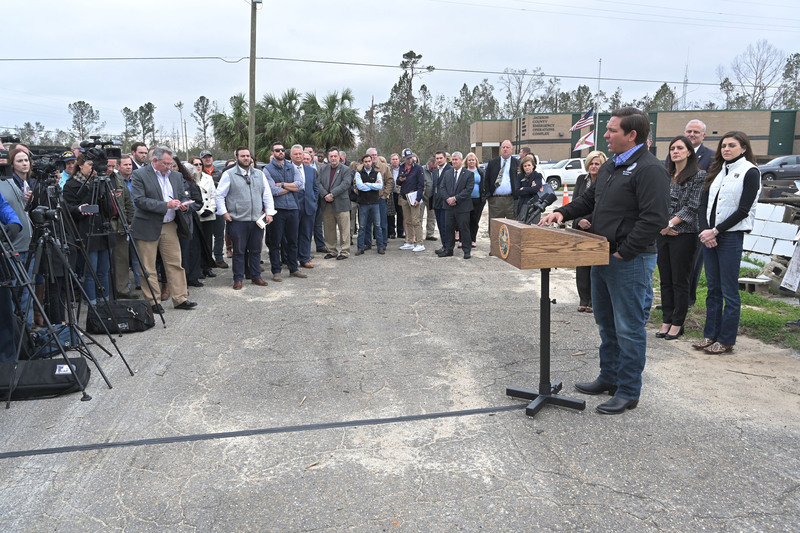 On Tuesday, January 22, 2019, Governor DeSantis met with President Trump one-on-one to discuss his request for 45 days of 100% Federal cost share for Hurricane Michael debris removal and emergency protective measures. This is a request only the President has the power to grant. After their meeting, President Trump granted the Governor’s request without hesitation. On January 18, 2019, following Governor DeSantis’ second trip to the Florida Panhandle since taking office, he sent a letter to President Trump requesting the Federal cost share. For a PDF copy of the letter Governor DeSantis wrote to President Trump requesting the Federal cost share, click HERE. For a PDF copy of the letter Governor DeSantis wrote to President Trump thanking him for granting his request, click HERE.